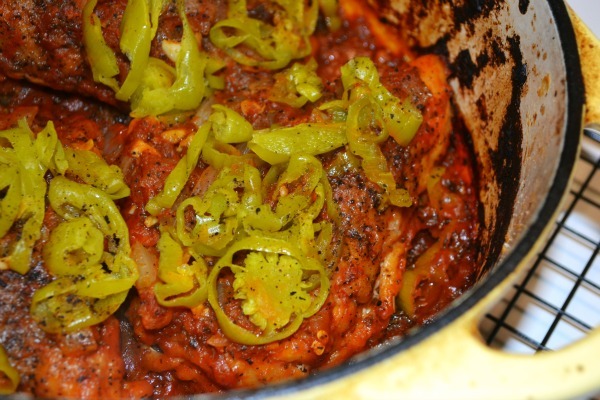 Braised Pizza Chicken - Moist, Flavorful, & Addictive! Have you noticed how pizza seems to be on the top of so many people’s favorite food list? It’s certainly right there near the top of my husband & children’s favorite foods, that’s for sure! So, having foods reminiscent of the flavors of pizza is a surefire way to get my kids to clear their plate. Heck, it’s a surefire way to get me to clear my plate too. 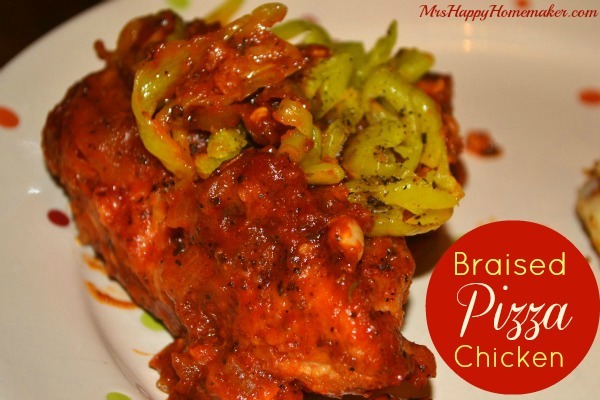 This chicken is so moist & delicious, and it’s certainly hard to beat. 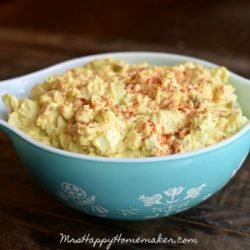 I serve this dish all the time – and there are never any leftovers….which may be the only bad part of the dish – I like leftovers. 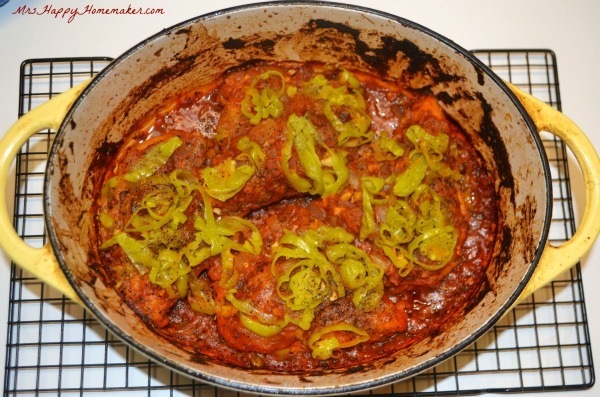 I cook this dish in a cast iron dutch oven, and it’s really my preferred method of choice. If you were to buy any piece of cookware, a large enameled cast iron would be the one I recommended. (You don’t have to go with the fancy French ones either – their are lots of more affordable brands to go with that work just as well). 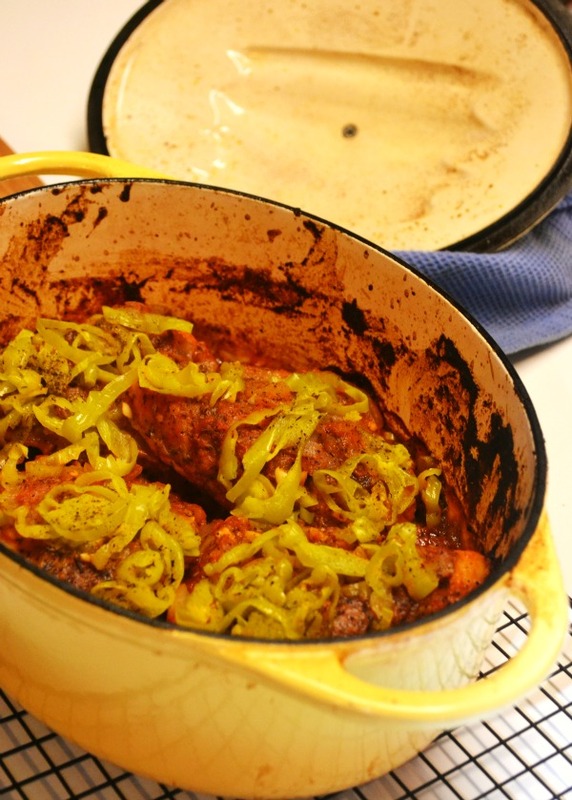 If you don’t have a cast iron dutch oven, and have no plans of getting one – don’t you fret. You can still make it too. Just make sure you cover the baking dish very well with a tight fitting lid or a double layer of aluminum foil. Here’s what you need to pull it off. Well, most of it. I forgot to include the olive oil & flour. Oops. 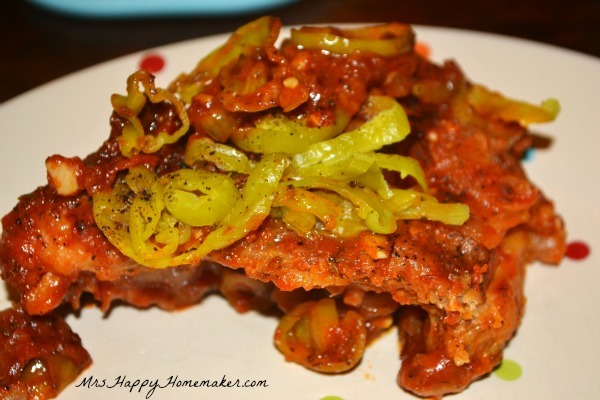 I use bone-in skinless breasts in this recipe for a couple of reasons. I believe the bone adds a lot of flavor, retains the chicken’s moisture better, plus it gives the chicken a bit of ‘anchor’ so to speak. 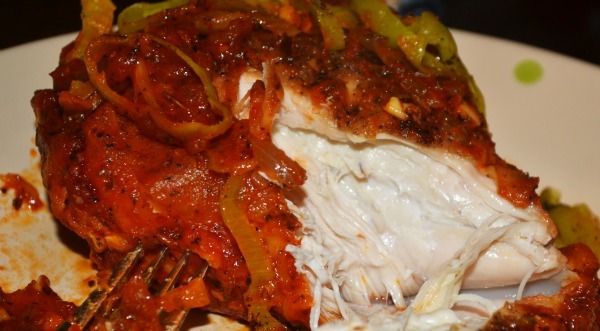 This is a moist piece of meat once cooked, and the bone helps hold the chicken together. 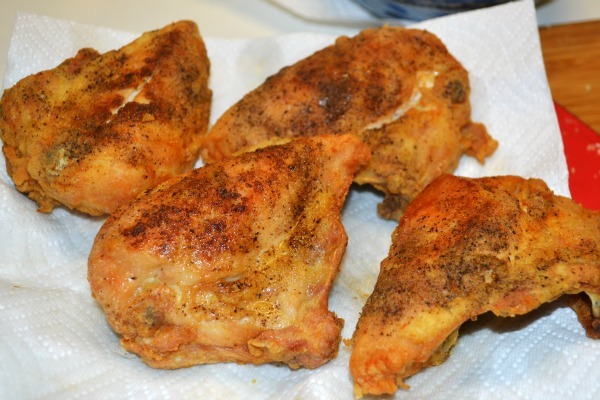 You can also easily swap out the bone-in chicken for thighs or leg quarters as well. Season the chicken with salt & pepper. Dredge it in the flour & shake of the excess. 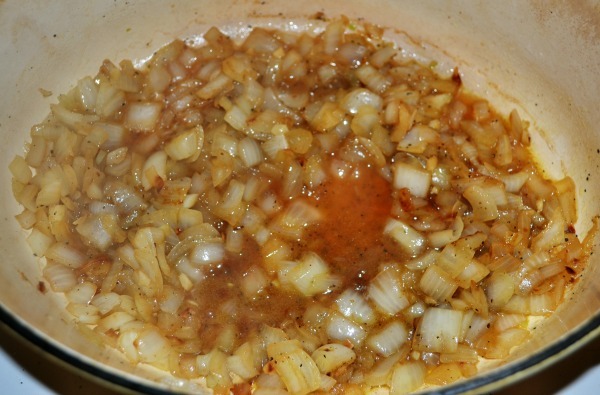 Fry it for about 5 minutes on each side in the hot vegetable oil in your dutch oven, or other large pan. Drain on a paper towel lined plate. Set aside. 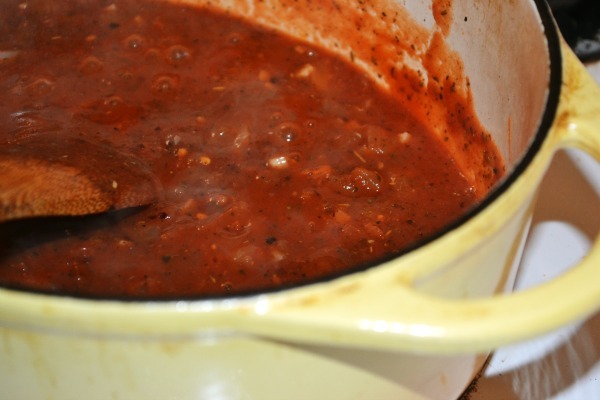 Pour out the oil from your dutch oven or pan – wipe out the insides of it. Heat 3 tablespoons of olive oil on medium heat. 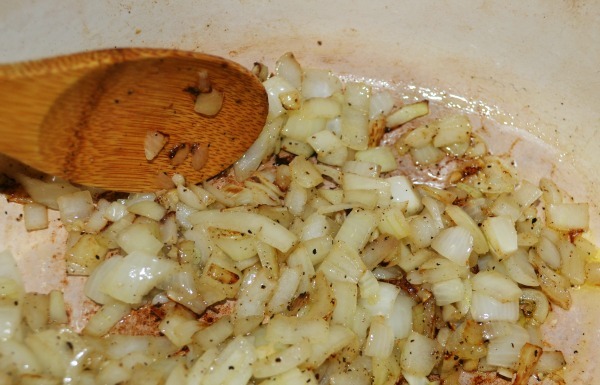 Stir in your chopped onion. Season with salt & pepper to taste. Sometimes I add a chopped scallion or two as well if I have them on hand. It’s completely up to you if you would like to add it. It’s great either way. Saute for about 4-5 minutes. Pour in the chicken broth. Simmer for about 5 minutes, until reduced by half. Pour in your tomato sauce. 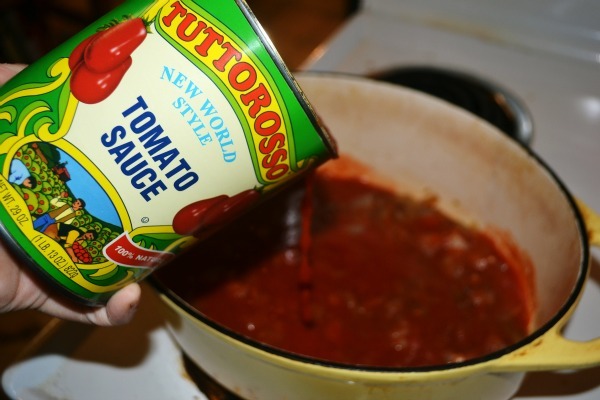 I’ve recently fallen in love with the Tuttorosso line of tomato products – really rich & flavorful. Stir in the minced garlic, Italian seasoning, & crushed red pepper flakes. Don’t worry, the red pepper flakes won’t make the chicken hot – but adds a great amount of flavor. However, if you’re craving a spicy kick – feel free to add a little more, you spicy little thing you. 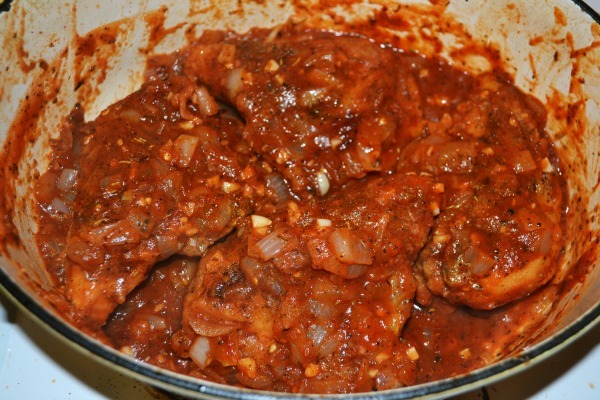 Place in your chicken breasts, spooning enough sauce over them to cover. Distribute the pepperoncini on top of the chicken. Drizzle on a couple tablespoons of the pepperoncini juice. Season with salt & pepper to taste. Cover & cook on 350 degrees for 4o minutes. Once the dish is done, remove the lid & inhale that delicious aroma. This dish is ah-mazing. Seriously. Check out how moist it is. You could eat it with a spoon. And, you won’t have any leftovers (I sincerely apologize to all my fellow leftover-lovers out there). You won’t regret it. In fact, you’ll be thanking me afterwards. 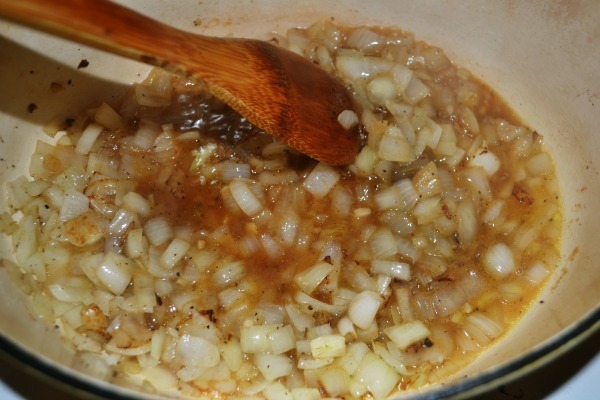 Heat the vegetable oil in your dutch oven or pan over medium high heat. Season the chicken breasts with salt & pepper; dredge in the flour, shaking off any excess. Working in batches if necessary, add the chicken to the pot/pan and cook until golden on both sides...about 5 minutes per side. Drain the chicken breasts on a paper towel lined plate. Pour the oil out of the pot & carefully wipe it out with a paper towel. Add the 3 tablespoons of olive oil & heat over medium heat. Add the onion; season with salt & pepper to taste. Cook, stirring, until softened but not browned - about 4 minutes. Add the chicken broth, bring to a simmer, and cook until reduced by half, about 4 minutes. 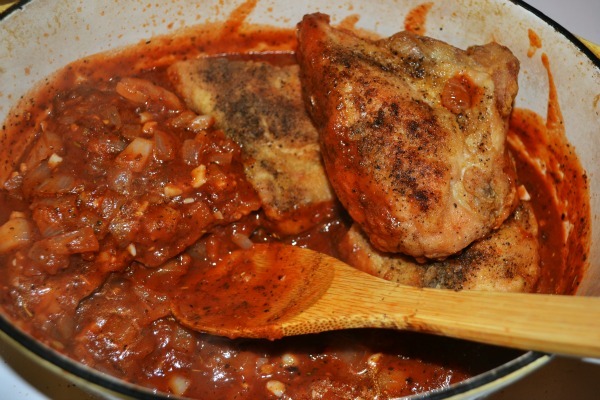 Add the tomato sauce and cook, stirring, for 3-4 minutes. Stir in the garlic, Italian seasoning, & red pepper flakes. 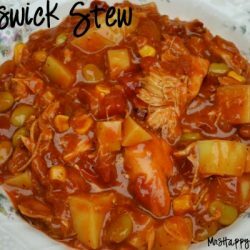 Return the chicken to the pot, and spoon the sauce over it. 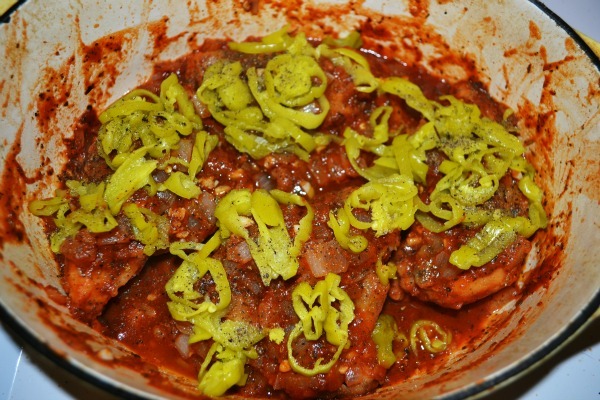 Add the peperoncini on top of the chicken & drizzle the peperoncini juice over the dish. Season with salt & pepper. Cover the pot (or if you don't have a dutch oven, use a tight fitting lid or 2 layers of aluminum foil) and cook for 35-40 minutes. 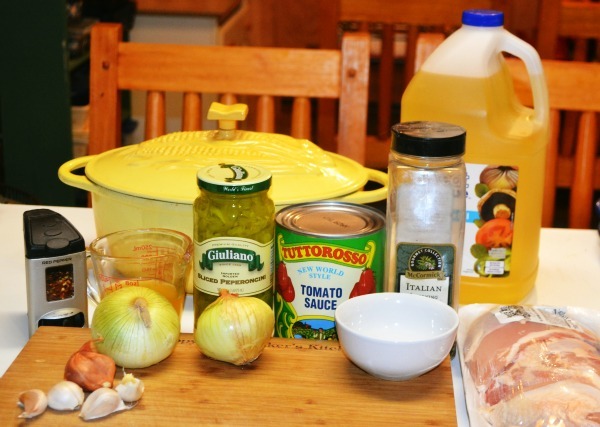 Disclosure: Tuttorosso provided me with the tomato products in this recipe. 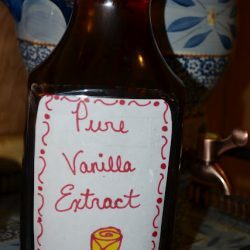 All recipes & opinions shared are my own. If you say pizza my kids will eat it. Please bring this dish by foodie friday today. i think folks will enjoy it.